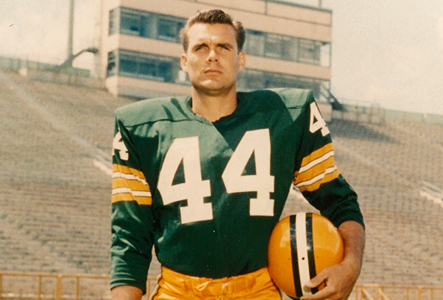 Former 1960’s Green Bay Packer Gary Knafelc says that the NFL is just waiting for the older players to die. Knafelc says that from the NFL’s perspective, the injuries happened too long ago and “we don’t have enough records to justify helping you out at that time.” Knafelc goes on to say that to make up for the lack of support from either the NFL or the NFLPA, some of the former players have stepped up to help each other out. Willie Wood, one of the greatest defensive backs in NFL history, has been suffering from debilitating injuries (including dementia) for years. In 2006, author Michael Lewis wrote a terrific piece for the New York Times Sunday Magazine about Willie Wood. Lewis also wrote the popular sports books, The Blind Side and Moneyball. Ultimately, the NFLPA has to step up and protect the retirees, but they don’t care about the older players, according to Knafelc.